Life has changed since having a child. It's great to see how the little peanut interacts with the world around her. Just being able to view the world through their eyes is amazing and makes me feel like a child again. We love going to Bumble in downtown Los Altos. Bumble offers a welcoming space for friends and family alike. One great thing about Bumble is the playroom, which allows the children to play and allowing the parents to relax. We enjoy going to the Children's Discovery Museum or CDM in San Jose. The little peanut enjoys being in the Wonder Cabinet, which is geared towards children aged 0-4. It is worth it to get a membership at the museum, since its about $12/visit/person. Another place that we enjoy is La Petite Playhouse in Redwood City. 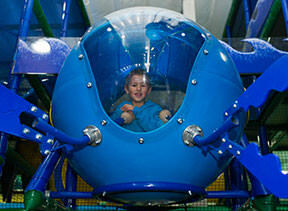 As described on their website, it is the ultimate indoor destination for children to play and explore and have fun. Another great location, that the little peanut and I enjoy is walking through the Redwood Preserve in Los Altos. It's a small area but there is also a park close by when the little peanut still wants to play.